The local area has a wealth of fine local produce if you want to stay put and cook at Barwheys. For fantastic meat visit Dalduff Farm www.dalduff.co.uk . For fresh-off-the-boat fish pop into Pieroni in Ayr. (47-55 Peebles Street Ayr, KA8 8DP 01292 265 532). If you’d like a chef to come and cook a celebratory meal we can put you in contact with chefs who love coming to Barwheys to make our guests events very special. 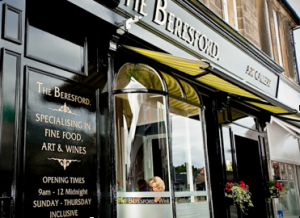 The Beresford in Ayr is a stylish place for food throughout the day – breakfasts, lunches, dinner with Costley and Costley’s home made bread, chocolates and ice cream. 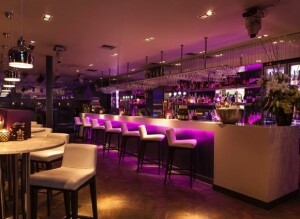 Great cocktails and wine at the bar and an upstairs art gallery. 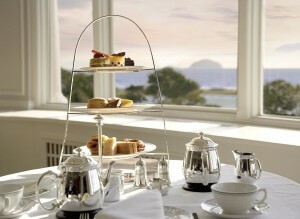 Just 10 minutes drive away is the fabulous Turnberry Resort. It’s views out over Ailsa Craig are the best in the area. Experience Turnberry’s award winning afternoon tea in The Grand Tea Lounge or the popular Sunday brunch in 1906, Turnberry’s signature restaurant. 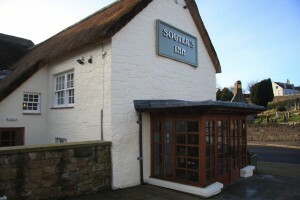 The recently refurbished Souters Inn in Kirkoswald has a restaurant and patisserie coffee shop open from 9am ’til late. 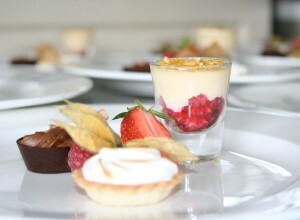 Delicious desserts and chocolates are available to take home from the shop. 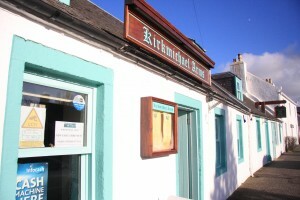 The local pub is the Kirkmichael Arms in the village- just a few minute drive away. It serves great local beer from the Ayr Brewing Company and delicious bistro food with changing chef’s specials on the blackboard. 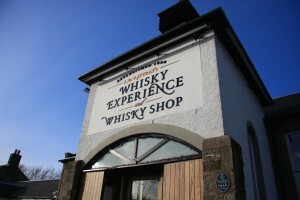 AD Rattray’s Whisky Experience is just 10 minutes drive along the A77 in Kirkoswald. Private tastings can be arranged in the tasting room or alternatively the AD Rattray team are happy to bring their experience to Barwheys. 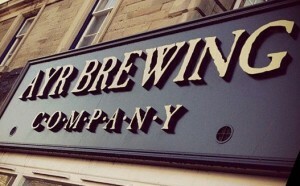 For great pints of real ale try the bar of the Ayr Brewing Company – a micro brewery in the back of the GlenPark Hotel in Ayr. If you like the beer you can bring bottles or a pin back with you – but leave the pin a couple of days to settle. 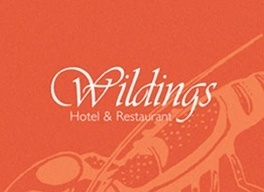 Sister restaurants Elliots of Prestwick and Scotts of Troon are good for stylish all day food and a Taste Ayrshire menu. They are known for their late night cocktails. 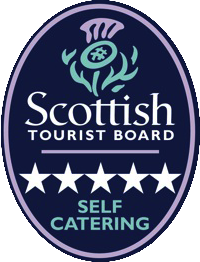 Scotts, on the Marina at Troon, has a terrace bar with great views out towards Arran and Ailsa Craig. Take a drive down the lovely coast to Maidens where you’ll find find Wildings in Harbour Road – a busy and popular family restaurant specialising in fish and local meat.